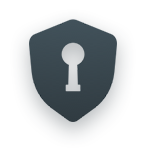 VIP is a pro password manager to secure your accounts and passwords. It can autofill passwords in sites and apps on phones, tablets and PC. Only you can open VIP with a password or fingerprint. Keep accounts and passwords, autofill in websites and apps, you can log in with one tap. Sync on different devices. Generate strong passwords to make your accounts more safe.